We are members and supporters of the Domestic Violence Advocacy Project and the Black Allied Law Students Association at New York University School of Law. We are writing to ask that you exercise prosecutorial discretion and drop all charges against Bresha Meadows in the interests of justice. We also ask that you immediately release Bresha pending any decisions. Putting Bresha’s life into the context of what we know about the dynamics of domestic violence shows that her family was in extreme danger and had none of the support necessary to safely leave the situation. Dr. Jacqueline Campbell, a professor at Johns Hopkins University and leading researcher on domestic violence, created a widely-used and validated risk assessment instrument for predicting the likelihood that an abuser will go on to kill his female intimate partner victim. Media accounts of the Bresha’s case show that many of the risk factors were present: her father owned a gun, he frequently brandished it at Bresha and her family in a threatening manner, there was escalating violence over the preceding year, Bresha’s mother had previously tried to leave, her father had threatened to kill her mother, he had attempted strangulation, he was controlling, he had attacked Bresha’s mother while she was pregnant, and Bresha’s mother believed he was capable of killing her. 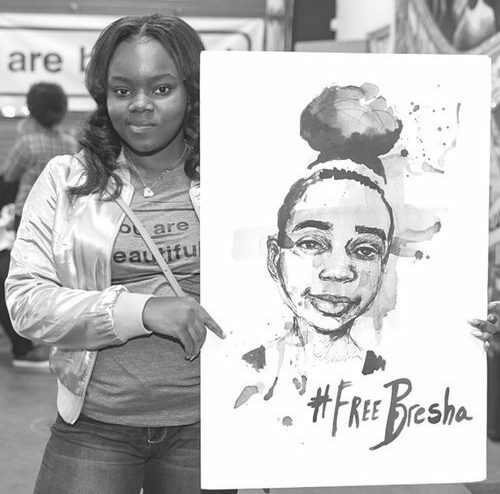 Additionally, because of the failures of numerous agencies that should have kept her safe, Bresha’s actions were necessary to keep herself and her family safe. Bresha tried to escape by running away from home. When Bresha’s aunt contacted child protective services to get help, they reportedly interviewed Bresha’s parents together, making it impossible for Bresha’s mother to speak freely and putting her and her children in grave danger by angering Bresha’s father. When Bresha called the police, again, they didn’t interview her parents separately. Leaving would not have been an easy solution for Bresha’s family: media reports state that Bresha’s mother and father worked for the same employer, and consequently her father would always know her mother’s whereabouts and have access to her. If Bresha’s mother left her job, she would have no ability to support the family. Interviews with Bresha’s maternal aunt show that Bresha’s father isolated his wife and children from Bresha’s mother’s family, cutting off one support network. The fact that Bresha’s father’s own family denies that he was abusive despite documented trips to the emergency room for broken ribs and teeth suggest that he had controlled their access to information as well. Simply put, it is a miscarriage of justice to punish Bresha for saving her own life and the lives of her family members by taking the only action available to her. The driving force for her actions was not malice but desperation to survive. 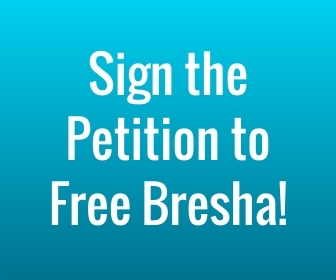 Instead of incarceration, Bresha needs access to services in the community so that she can heal from the abuse that she has endured and the trauma she has been subjected to in connection with her prosecution and detention. Being isolated and controlled in juvenile detention, away from her family and in fear only recreates and compounds the trauma she has already endured her whole life.